Fans of the 31st Massachusetts Infantry should definitely consider visiting the Conway Historical Society over the coming weeks. 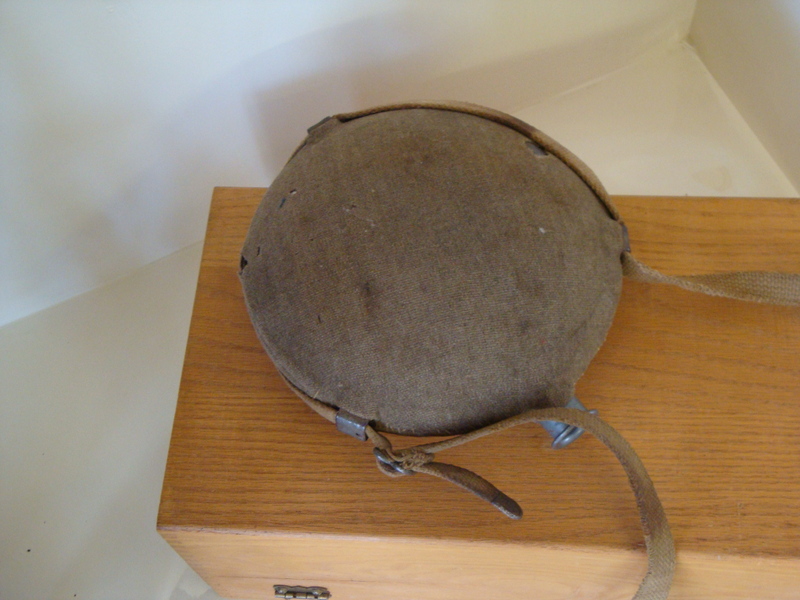 Sixteen members of the regiment were connected to Conway and the museum is displaying many artifacts from the 31st, including the McClellan saddle, sword, canteen, and uniform items of Gordon H. Johnson of Company C. This is the largest known collection of 31st items, although some of them are on loan from local families. Among the Conway soldiers was Patrick Hayes of Company A, who lost an arm at the Battle of Sabine Cross Roads. Also enlisting from Conway was our old-friend Adelbert Bailey, who outlived all the other members of the regiment. The aforementioned Gordon Johnson served nearly the entire war, enlisting in November of 1861, re-enlisting in February of 1864, and mustering out in September of 1865. His neighbor, William G. Maynard, who enlisted as a 19-year-old mechanic, deserted in 1864 at New Orleans. Canteen of Gordon H. Johnson (on loan from the Reed family). The exhibit includes an extensive list of all the Civil War soldiers from Conway, meticulously researched by Robert Llamas of the Conway Historical Society. The items are great, the information is helpful and the presentation is well-done; what’s not to like? You can visit the Conway Historical Society on Sundays, 2-4 p.m. or Wednesdays, 4 – 7 p.m., through Labor Day, though there is a hope they will extend the exhibit through the Festival of the Hills, the first weekend in October. For more information, call (413) 559-1180 or (413) 626-6881. Also, Robert Llamas will be giving a one hour talk on “Conway in the Civil War” at the Conway Historical Society on Sept. 9th at 7:30 pm. The emphasis, of course, will be on Conway’s men and events that had an impact on the town, though many broader events of the war will be discussed. This is a great opportunity to see the exhibit of the same name. All will be welcome. Please note: your donation is to the Pioneer Valley History Network, not a member organization.